The first wasn’t a true low but was the first time she felt sick. It was a school and she was only 94 but she had never going below 100. The next day she went to 84, same time. Now she is regularly going to 75-85 around the same time. The other day she went to 77, ate some carbs then wasn’t hungry before she had softball practice. Then she was high 260-300 after practice before she ate and we covered both her carbs and used the sliding scale. I knew it was too much but had no instructions on how to handle the situation from her doctor. I set my alarm for 2am to check her just in case. I woke up at 1 and fretted about it for half hour before waking her up, it was 68. She ate some smarties and rechecked at 153 after 20 minutes. It wasn’t scary but I was glad that I checked her when I did. The doctors have instructed that if she is playing softball to not use the sliding scale and to just cover carbs. She doesn’t have another practice until next week so hopefully the long weekend will be uneventful. However she is staying two nights with my mother in law and I am just a little nervous. She is capable but it’s normal to feel nervous right? My Favorite Things: As we wrap up another Diabetes Blog Week, let’s share a few of our favorite things from the week. This can be anything from a #DBlogWeek post you loved, a fantastic new-to-you blog you found, a picture someone included in a post that spoke to you, or comment left on your blog that made you smile. Anything you liked is worth sharing! I missed yesterdays’ post because we attend our local JDRF walk and I didn’t have time to post. We didn’t participate as a team this year, we mostly attended to see the vendor and info booths and get support. We are considering starting a team for next year because it was an awesome event and a great way to connect to the Type 1 community around here. 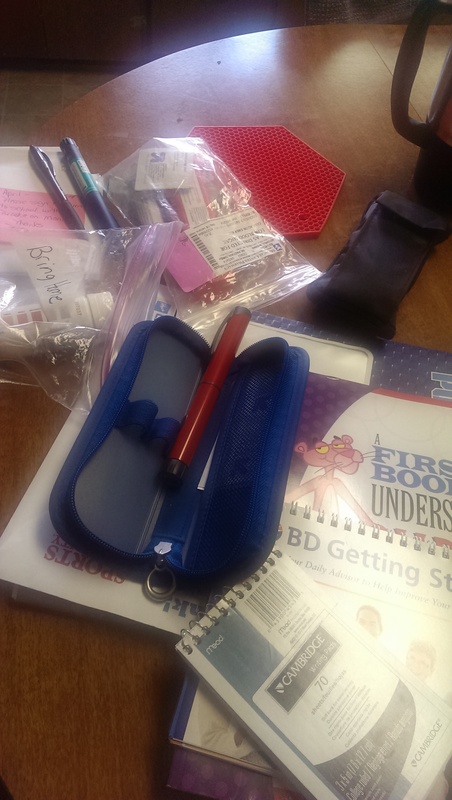 I think it really helped my daughter to see others going about life with type 1 and the freebies didn’t hurt either. I am trying to encourage her to go to a special camp this year and I think she is close to saying yes. 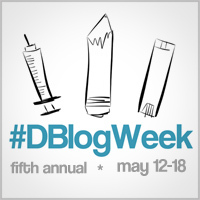 Being apart of DBlog Week has been awesome. I tried to read many of the post and gather as much information as possible. I have bookmarked many blogs to revisit and keep up with.